Life Care Company was founded in 2005, in Timisoara, and it is one of the initiators of the “Association of Producers and Importers of organic Products in Romania” and an active member of the Romanian Direct Selling Association (RODSA). 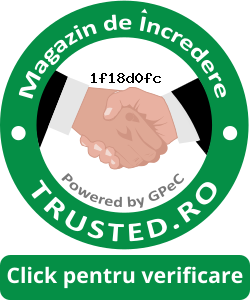 With a confident attitude, increased working power, creativity, Life Care has managed to become the largest direct selling company in Romania in the 13 years since its launch, focusing on the sale of organic, natural and vegan products. It cumulated sales of more than $ 100 million and set a new and dynamic trend to the direct sales market in Romania. With over 300 natural, organic and vegan products in its portfolio , Life Care® has taken into account every aspect and need of its customers, constantly enriching the portfolio of new product ranges that belong to the most renowned organic producers in the world and the quality of which is certified by ECOCERT or BDIH. As in the Life Care community, passion is transformed into performance and rewards, our partners benefit form high-performance programs and tools to help them become TOP LEADERS, FINANCIALLY INDEPENDENT, to win dream vacations, cars, thus fulfilling their dream to live freely and happily, without constraints and to work as much as they want, when they want and how they want. They have managed to have their own SUCCESS BUSINESS built with Life Care. The Life Care Foundation was born in 2011 and aims to sustain life and human potential, in line with the motto “Life is a journey to personal fulfilment”. The Foundation's activity aims to support people, especially young people and children with potential and abilities in various fields of activity by identifying, preparing and promoting them and by developing personal projects related to the improvement of the quality of life (healthy, natural and organic food). In 2012 the Life Care Foundation launched an innovative project : the BIO Camp and aims to progressively bring together all teens who need guidance to start life in a healthy way. All children can participate, regardless of their social and economic condition, race, ethnic group, gender. They will be selected beginning with those who have already started to show their potential. The camp is designed for children between the ages of 12 and 18, and here they are taught to develop their acquired and native skills for a healthy and successful life.